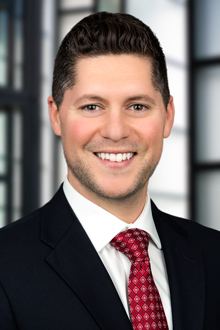 Stefan Alvarez is an associate in the Tampa office of Lewis Brisbois and a member of the First Party Property, Insurance Coverage, General Liability, Consumer Litigation Defense & Financial Services, and Healthcare Practices. Mr. Alvarez focuses his practice in first party property defense, bad faith litigation, and general liability defense, including premises liability and trucking liability. Mr. Alvarez has experience representing clients in various capacities, from pre-suit investigations and coverage matters to every stage of litigation through trial. Prior to joining Lewis Brisbois, Mr. Alvarez worked as the Senior Manager of Legal Research and Legislative Affairs at the U.S. Chamber of Commerce in Washington, D.C. During his time there, Mr. Alvarez was responsible for managing components of various international initiatives for Fortune 250 companies, including the strategic development and implementation of research, communications, and advocacy efforts in Europe, the Asia-Pacific, Canada, and Latin America. In addition, Mr. Alvarez also handled a range of domestic issues related to shareholder activism and campaign finance, including legislative and regulatory measures at the state and federal level. After several years with the U.S. Chamber of Commerce, Mr. Alvarez's passion for the rule of law and his desire to better serve the people of Florida brought him back to his hometown of Tampa, Florida to become an Assistant State Attorney for the Thirteenth Judicial Circuit. As an Assistant State Attorney, Mr. Alvarez prosecuted thousands of cases from intake through trial with charges ranging from Domestic Battery, Assault, Theft, and Driving Under the Influence, amongst others. Following his time at the State Attorney’s Office, Mr. Alvarez joined a small firm, where he litigated hundreds of consumer claims in state and federal court with a focus on the Telephone Consumer Protection Act (“TCPA”), Fair Debt Collection Practices Act (“FDCPA”), and the Florida Consumer Collections Practices Act (“FCCPA”). Mr. Alvarez lives in the Tampa Bay area, where he is an active member of the community.